the corner of Washington and Hyer. The first of four restaurants, Graffiti Junktion in Thornton Park is hailed by many as the home of Orlando's best burger. The atmosphere inside the graffiti splattered eatery is nothing short of fun. Table seating indoors and outdoors make it a pleasant place to stop for lunch. 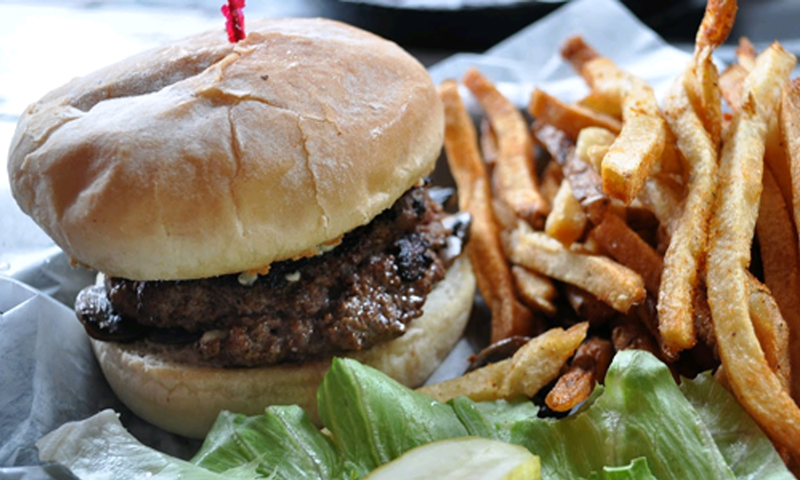 Beef and turkey burgers, pulled pork, chicken breasts, fish sandwiches and vegetarian options are all available.Try their Lone Star Burger topped with BBQ, Bacon, and Cheddar and a side of their to-die-for fries. Graffiti Junktion is described as the American burger bar, so not only can you sit down with a great burger, but you can take advantage of excellent drink specials daily. Enjoy their draft and bottled beers, order a specialty drink, or take a tasteful shot made from the tastiest combination of flavored liquors. The restaurant is open late, so it's a great stop for those hungry for a bite after a long night of parties or concerts. Gaffiti Junktion is located in Thornton park at the corner of Washington and Hyer.